Overlooking the Middle/CP3 Control Point area. Unique geometry on the final Control Point (CP1/CP5). Takes influences from Ken Adam's set design from Moonraker. Overlooking the second Control Point (CP2/CP4). 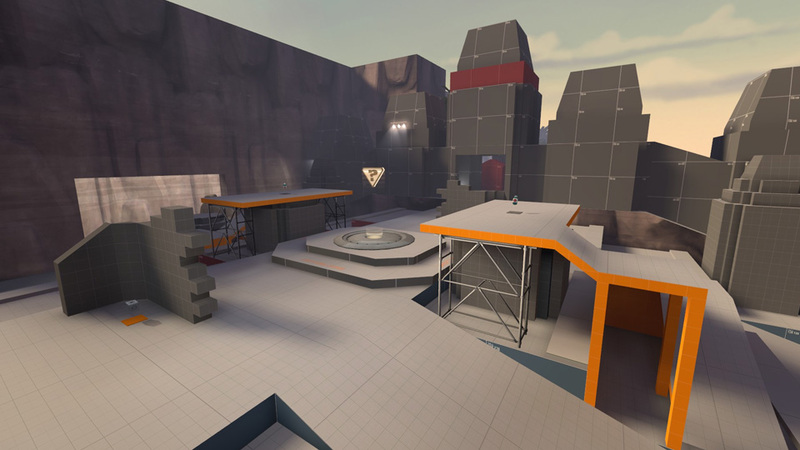 Siem Reap is a Control Points map for Team Fortress 2. Currently in development, it is intended to be included with a community Pacific Theme pack, to be released in early 2014. The level uses the five control point ruleset, where teams must capture the middle point, before capturing the enemy's other two points in order. The gametype allows for back-and-forth fights, with players often able to flip games around quickly. 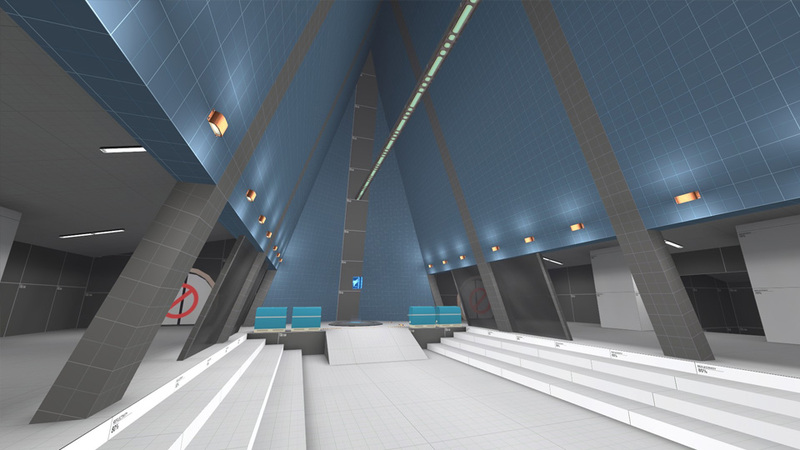 The level is intended for competitive play, which is a notoriously hard sub-community of Team Fortress 2 to break into. To encourage its acceptance into the community, it incorporates new geometry into somewhat familiar layouts. A major factor that I have found in getting the level played by competitive teams is focusing on the "rollout", a term used by players for the start-of-game travel to the middle control point. Several hours were spent refining the rollout's path and length. 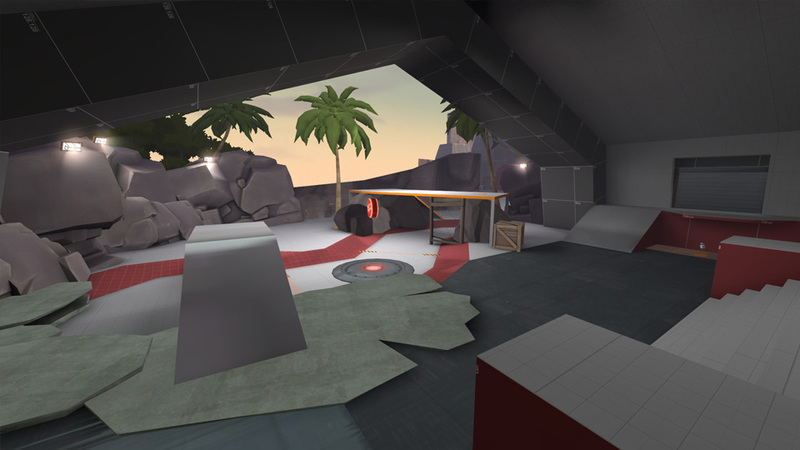 Some advanced players are able to "surf" certain ramps, a skill in Source Engine games where a player retains their momentum off sloped surfaces, often allowing them to move faster than walk or air speeds.